Bradford pear trees were the first cultivar of the Callery pear, an ornamental fruit tree. The attractive cultivar is early-blooming, with a profusion of snow-white flowers. The green summer leaves turn brilliantly orange and red in the fall, and the autumn colors last for a long time. 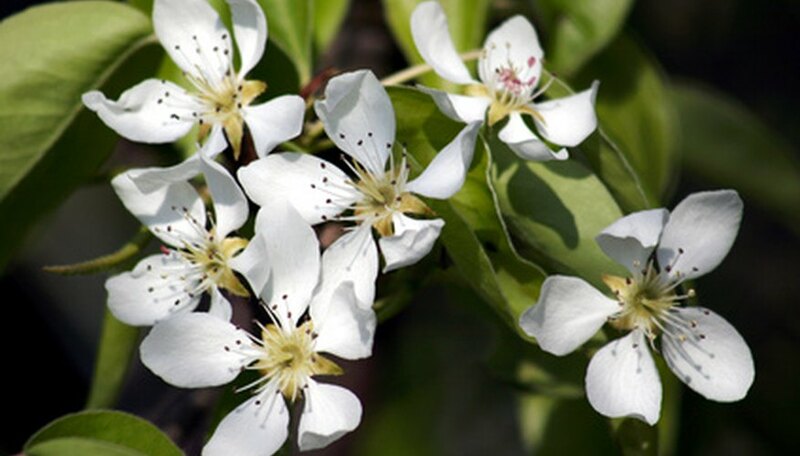 Although beautiful and tolerant of poor soil and pollution, the Bradford pear has a number of problems that cause it to have a short life span. Poor structure is a major problem with Bradford pear trees. The slender profile of the tree, while attractive, is dangerous to the life of the tree. The branches grow very close together almost vertically, which does not allow wind to pass through the tree easily. In addition, as the branches grow in width, they push against each other. For these reasons, the tree often splits apart in a wind or ice storm. Many home gardeners wait anxiously for the early blooms of the Bradford pear tree to burst forth in all their glory. Unfortunately, those masses of beautiful white flowers have an unpleasant scent. The profusion of blooms means the scent can become quite strong, and when the wind blows the flowers off the tree, the scent travels with them. For this reason, it is not a good idea to plant the tree near outdoor gathering places or by a window that will be open during the spring. Bradford pear trees were bred to be sterile and free of thorns. Unfortunately, they easily cross pollinate with other Callery pear varieties, which often results in fruit production. The fruit is attractive to birds, and the seeds spread, creating thickets of undesirable thorny Bradford pear trees. For this reason, many states have declared the Bradford pear to be an undesirable plant. Bradford pear trees have weak wood. That, combined with their fast growth, contributes to their problems. It also makes these trees more susceptible to damage from boring and sucking insects such as aphids, and fungal diseases such as fire blight. Insect pests and diseases are not usually fatal to the tree, however.